This concealer retails for 32CAD or 26$, it comes with 8ml of product and is available in 50 shades [wow!!! ], I have the shade “180”, which is for light skin with warm undertones. Again, this product is cruelty-free but not vegan! 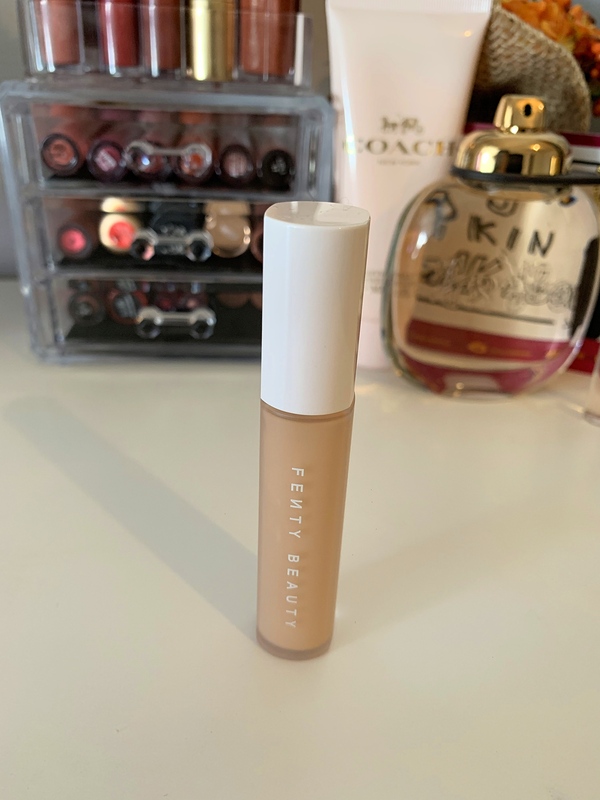 Packaging of this concealer is very pretty, it’s like a mini version of Fenty Beauty’s foundation which I love! It’s travel-friendly because the bottle is not made of glass. I love the transparent tube and white cap of the concealer, the writings in white, it’s very neutral yet aesthetic! I don’t really like the applicator cause it’s not flexible, it’s doesn’t bend along with the movement of your hand but a lot of product gets into it, which is cool! 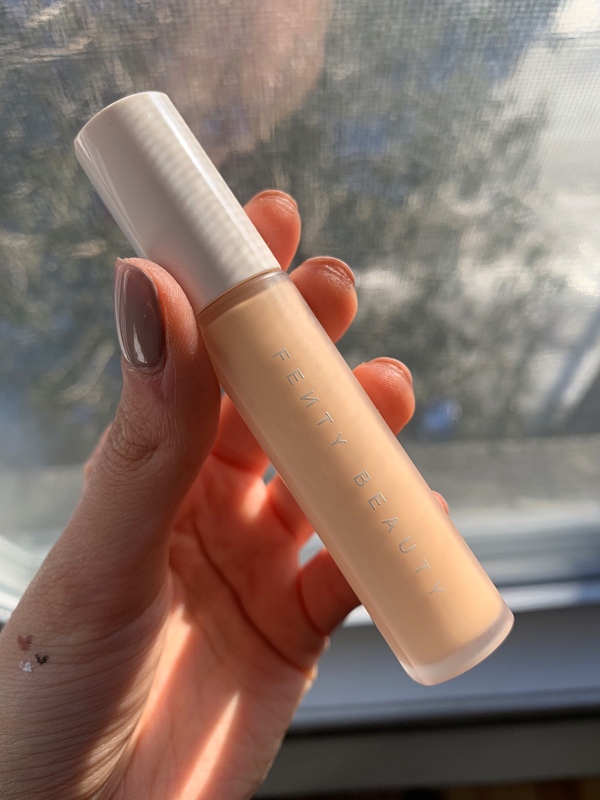 I don’t know but I am not a big fan of this concealer, it’s not revolutionary in my opinion, except for the shades as there’s a shade for everyone which is awesome but the formula in my opinion is meh! it’s very easy to blend but I feel like it dries quickly, the coverage is more on the medium side rather than full because I can see some redness and dark circles peek through. 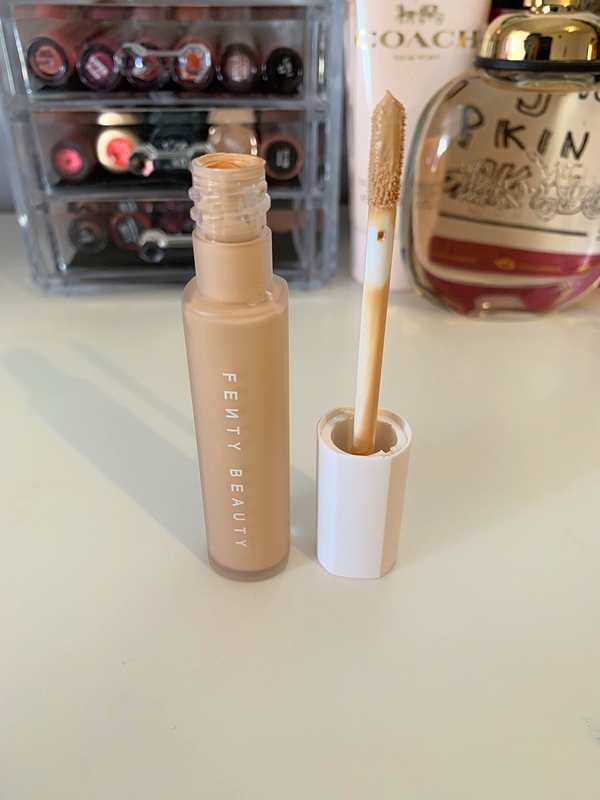 The good thing is it doesn’t crease, it’s neither too hydrating nor too drying even though it claims to be matte, I don’t think it is but it is not hydrating either, it would say it is more “semi-matte”. It is also long-lasting, I didn’t find like it looked cakey at the end of the day or that it moved around which I appreciate it because some concealers at the end of the day look horrible. This is one doesn’t. 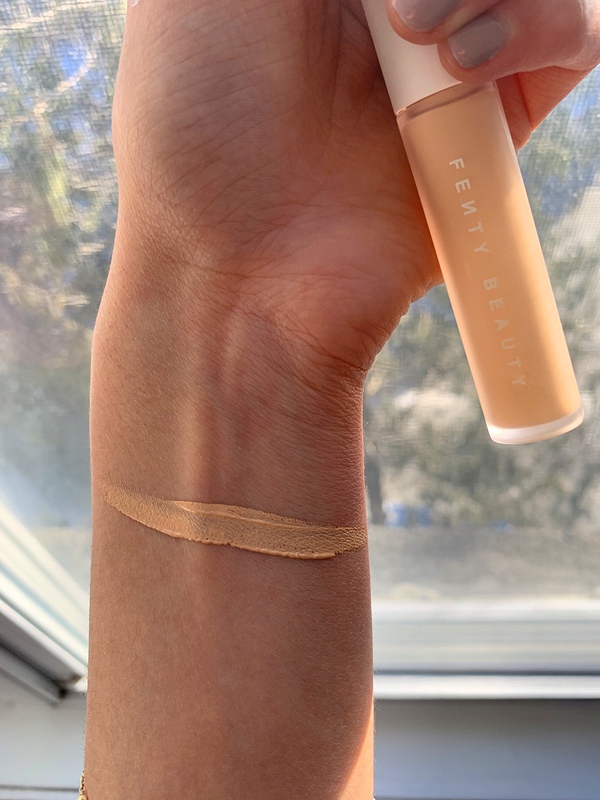 But I don’t know, it’s not a concealer I would repurchase again and I don’t think it has changed the makeup game so I don’t really recommend it unless you are die-hard Rihanna fan and you need all of her makeup products then yes you can buy it, it’s not bad. 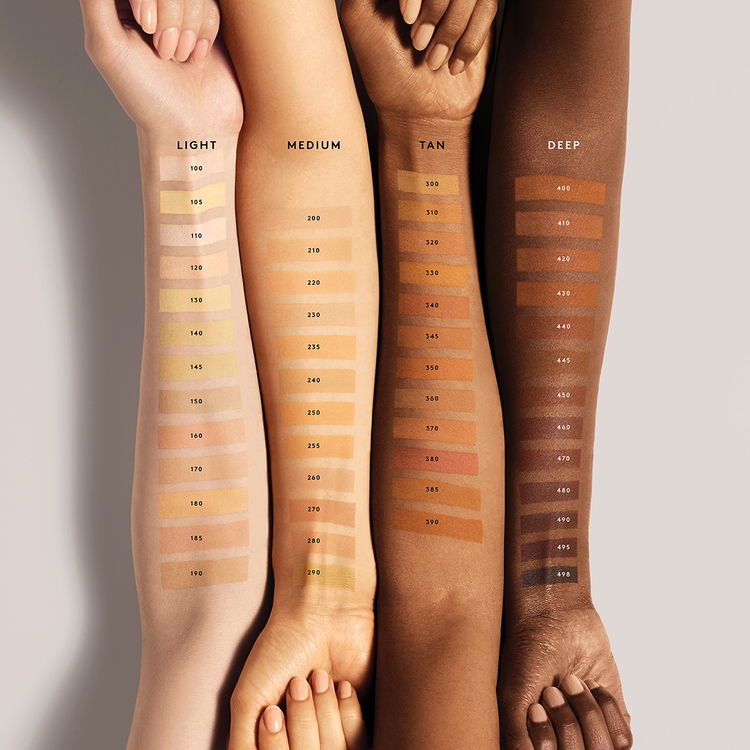 The swatches here are very accurate so I can tell you that you can rely on it to find your shade. Ugh, look at the many undertones there is, pure paradise! Thnks for your honest and detailed review. they are not that visible. peeking through just a little bit. but yes it is not full coverage!! it’s not that bad, I would continue using it but my dark circles are not horrible and I don’t have much to cover. that’s why. and the finish it not bad, like I said, it neither drying nor too hydrating but yes, for the price, I don’t think it’s worth it and I think you should pass it! I can’t believe how many shades they have. I wonder if a store will carry all of them or still just the most popular. Thanks for the review! I don’t think this would be for me as I like a bit more coverage, especially for my undereye darkness. Oooh, love Fenty! This looks like such a great concealer. I love fenty too!! yes it is okay! !